The Amsterdam Staff Band (Bandmaster Olaf Ritman) spent its April ministry weekend in various towns, including Leiden, Vlaardingen, and Rijnsburg. 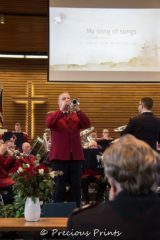 The band performed an outdoor concert, an evening festival, and split into three ensembles to participate in Sunday worship at the Gouda, Maassluis, and Leiden corps. The Staff Band began its weekend in Leiden, one of the university cities in the Netherlands, where they brought an open-air concert under sunny skies. Hundreds of people listened to the band as they played music mainly from the familiar “rainbow” and red favourites books. Following the outdoor concert, the Staff Band went to Vlaardinged for a concert at Waterway Central Corps. This corps has a large hall and nobody actually knew how many people would attend. Before the concert, the hall was reasonably full and when the Staff Band entered it was more than sold out, with additional chairs having to be used to give everyone a seat. Many of the people in the audience were in a Salvation Army hall for the first time. There were also several former members of the Staff Band in attendance. 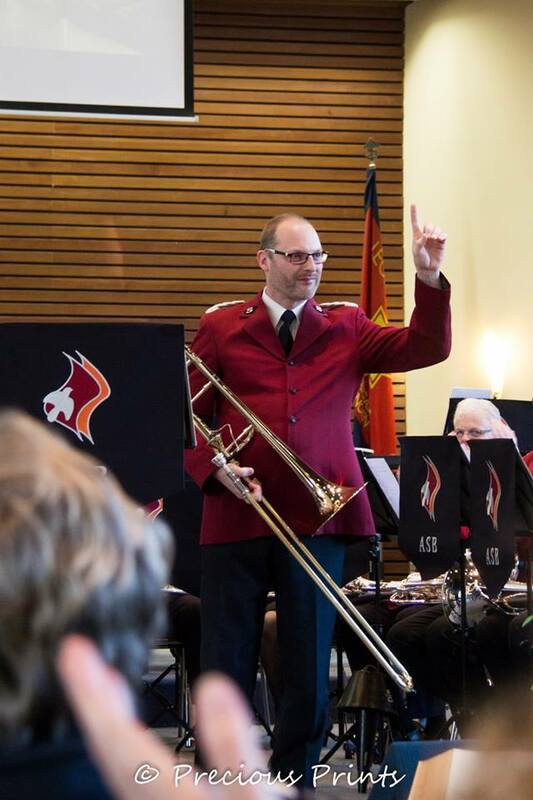 On Sunday, the Staff Band was divided between three corps: Gouda, Maassluis, and Leiden, where the members helped the local bands form larger ensembles, enjoying playing together. 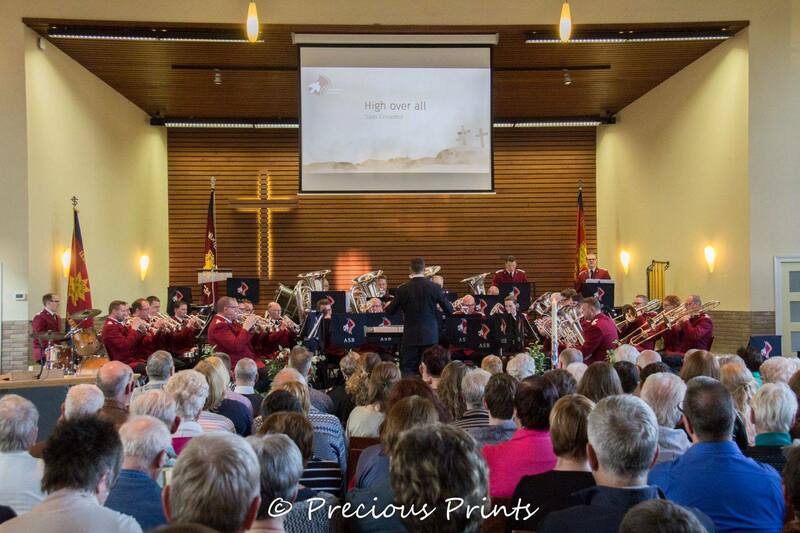 After a long break of several hours, the band went to a church in Rijnsburg, near Leiden, to mainly accompany the shocked churchgoers, who definitely had not experienced the up-beat accompaniments in the usual Salvation Army tempi. 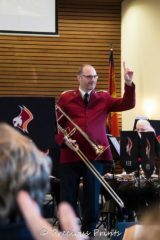 This article was posted in News and tagged Amsterdam Staff Band, concert, Edwin Outhuisje, Leiden, Michel Arnoldus, ministry weekend, Olaf Ritman, outdoor concert, Paola Klepke, Rijnsburg, Steef Klepke, Vlaardingen, Waterway Central Corps on 30 May 2017 .